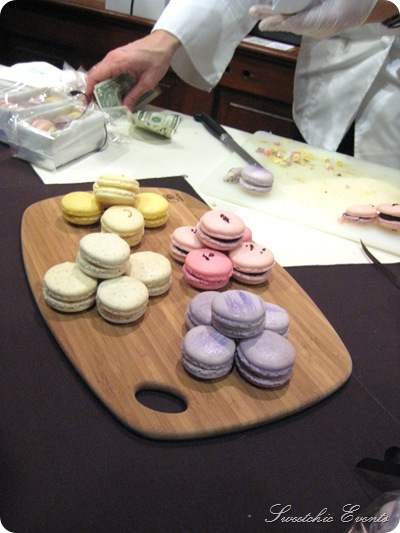 Goodies for Your Wedding at the LSK Pastry Market — Sweetchic Events, Inc. 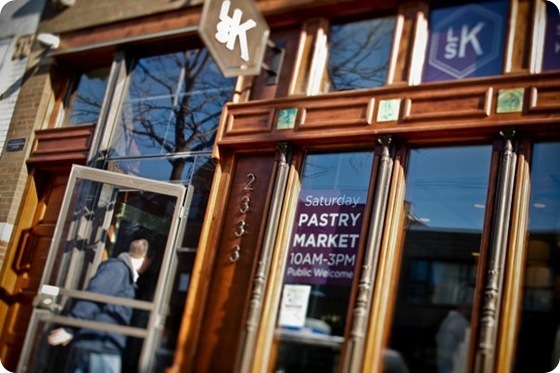 The exterior of Logan Square Kitchen. The prettiest table set-up by Flour Cake and Pastry, full of flour-y goodness. More beautiful wedding cake displays by Flour Cake and Pastry. I wanted to inhale this entire table by Tinycakes. Dark chocolate biscotti? Yes, PLEASE! 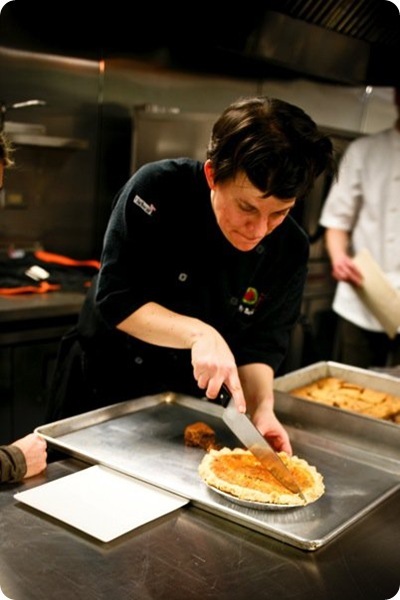 Chef Molly from FIG Catering slicing up their delicious quiche. 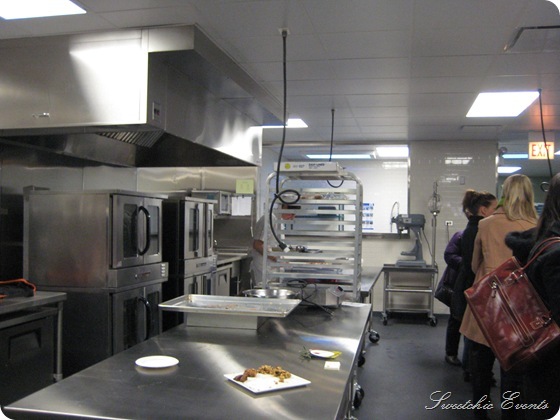 A peak at the kitchens in the back, which are available for small businesses to rent by the hour. 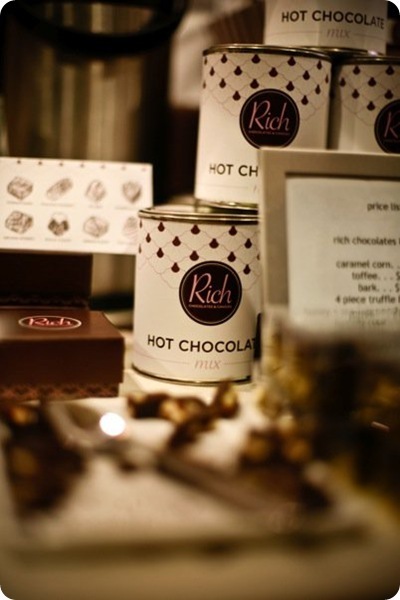 Rich Chocolates & Candies… they had the most DIVINE dark chocolate & sea salt pecan turtles!! They would make the perfect wedding favor… in fact, anything from Rich Chocolates would make a fabulous favor! 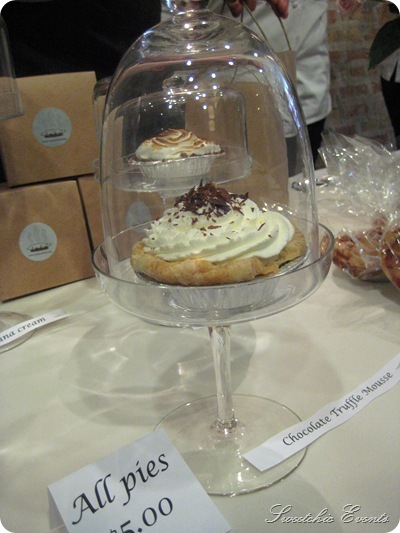 I took home one of these yummy mini chocolate truffle mousse pies from Sugarkist. How cute would it be to serve these at your wedding as dessert instead of wedding cake (and just have a small cake to cut)? Or a variety of them would look oh-so-lovely on a dessert table display! 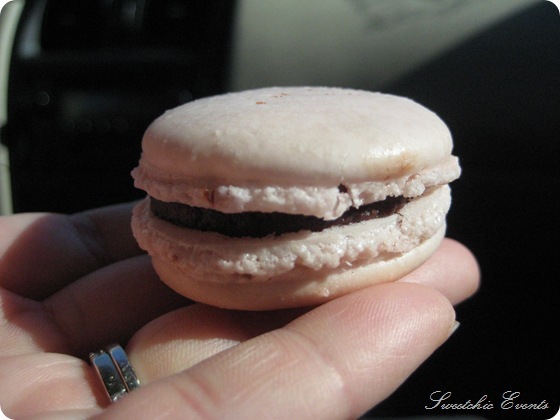 I’m not exactly sure when French macarons became so popular, but they sure are now! These tiny, puffy bites of sweet goodness are by Macaron Chicago. Another wonderful favor idea for your wedding! And of course, I took some of these chocolate raspberry macarons home with me too along with the chocolate mousse pie and dark chocolate turtles. Did I mention I have a sweet tooth?! Remember, Logan Square Kitchen is available to rent for private events as well!